Profitability is one thing that continues to elude ecommerce in India, with online grocery retail being the toughest code to crack. 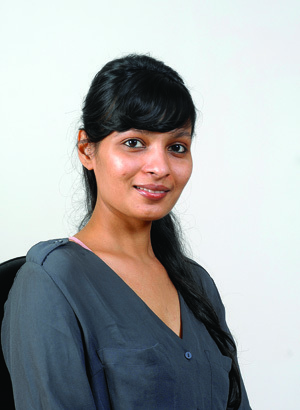 Rashi Choudhary, the co-founder and COO of Localbanya.com, tells Forbes India how the online grocer—that is on a fund raising and expansion spree—is trying to add a differentiating factor. “I don’t think anyone has cracked the code of selling groceries online,” she says, “but we are getting there.” The company is looking to achieve scale by leveraging its consumer behaviour data. To enhance the user experience, Localbanya has launched a ‘game-ified’ Android app with puzzles, which users solve to earn points that are redeemed with their next purchase. Localbanya’s 120- minute delivery service— ‘Instabanya’— will soon be available in Mumbai’s suburbs of Thane and Navi Mumbai. With a current month-on-month growth of 30 percent, the company is within striking distance of its target of 2,000 deliveries a day. It also plans an additional $15 million in funding in the next quarter. Hello I am product manager (at an e-grocer), I totally agree with Rashi Choudhary, The Selling groceries online is really tough, Especially when you are Selling in local areas.